Titus Livius was from Patauium. He was deeply concerned about the degenerations of the Romans. 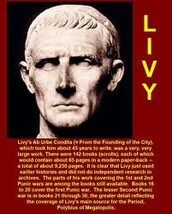 Livy was a Roman Historian.